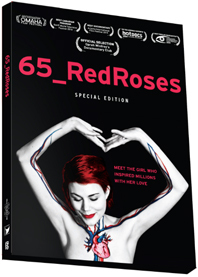 Transplant recipient, Eva Markvoort, inspired a powerful, global movement for organ donation through her blog and documentary film, 65_RedRoses. BC Transplant’s ‘LIVE LIFE. PASS IT ON.’ campaign was an extension of Eva’s passion to increase donor awareness. In partnership with Hello Cool World, BC Transplant has created a 65_RedRoses Teachers’ Guide designed to be used with the new version of 65_RedRoses. Aimed at Senior Secondary School students, and written by Eva’s cousin, Stacy Brine, the Guide is a tool for educators to facilitate classroom discussion on a variety of important topics relevant to today’s youth. We are very excited to announce that BC Transplant has licensed the film for use in all classrooms for free! Teachers can buy their own copy and download the study guide for a nominal fee. Password provided on purchase.